← Happy 64th Birthday David Cassidy! Free Cone Day At Ben & Jerry’s Tuesday, April 8th! 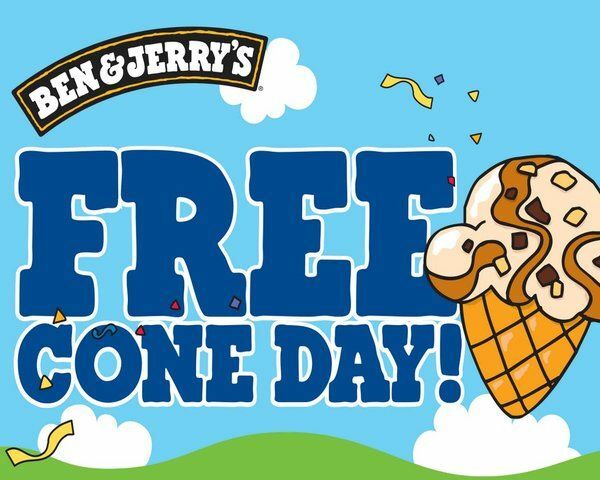 Tuesday, April 8th is Free Cone Day at Ben & Jerry’s! Free cone day is Ben & Jerry’s way to celebrate and say thanks for another year of support, and they’ve kept it up every year since 1979, spreading the peace, love & ice cream around the globe! No coupon needed. Just head in to your local, participating Ben & Jerry’s and ask for a free cone. Click here to find the location closest to you.